Truth be known, Robe AKA Blingwear Boy has been our best kept secret for a while now. Having created artwork for clients such as Wretch 32, IAMDV8, FusionTV (and practically decorated the IITS Office with his awesome visuals), it’s only right that we share him with the world once and a while. 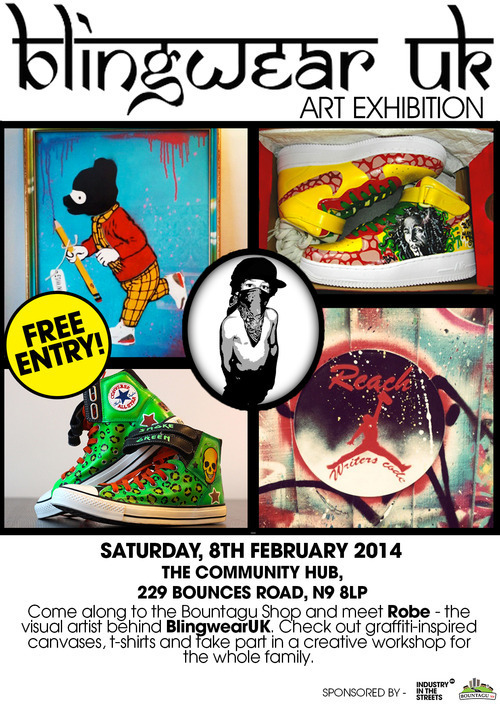 So, it is with great pleasure that we present his latest exhibition of graffiti-inspired canvases. Seeing as love is in the air this month, he has created a brand new installation inspired by Valentine’s Day. 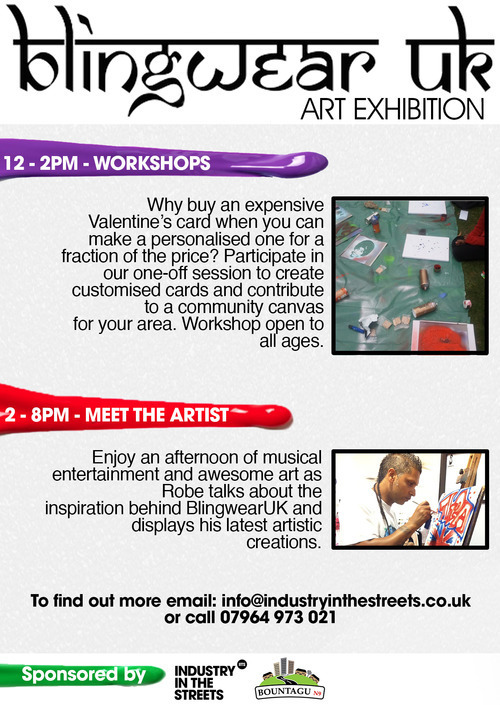 Come along to the Bountagu Shop to meet the creative behind the canvases. If you’re prepared to get your hands a little grubby the workshops promise to be a whole lot of fun too.